Today is about the WIPs (WIP means work in progress) I have at the moment. Of course there's gonna be both crochet and cross stitch among them! But before we get to the business of everything I'm up to, I would like to show you two pieces that was WIP's last time I wrote, and now they are finished! 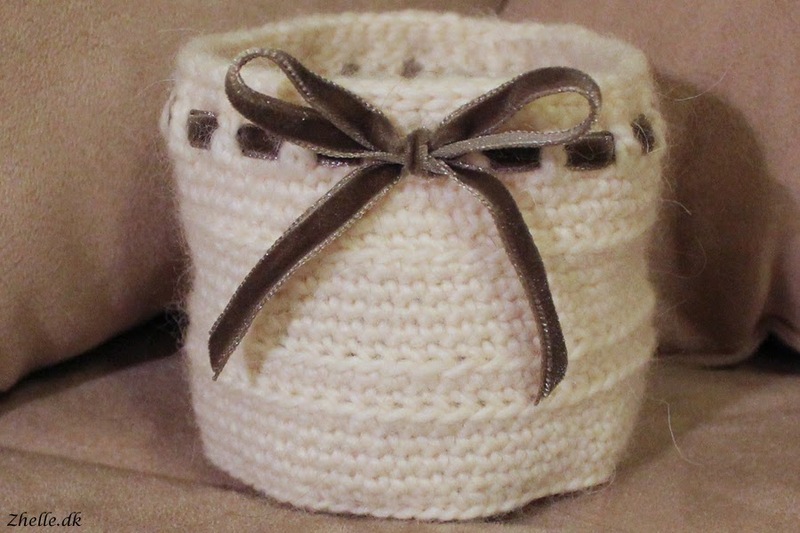 First up is a little basket I made using yarn that Rosie gave me at the Knit and Crochet Cafe I attend. The same basic pattern from Simply Crochet that I used to make the blue crochet basket I showed you last week, I also used for this little cutie. I actually started this first but quickly realised that it wouldn't be able to contain my embroidery threads. It is instead being used to keep all my hair clips from getting lost! I am so happy with the finished product, and it is certainly not the last basket I make. 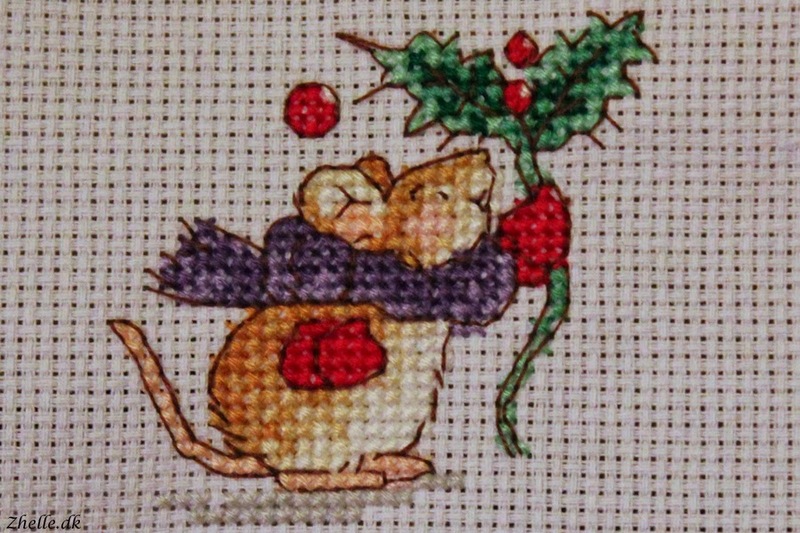 The other newly finished project is this little mouse that came with a kit from the World of Cross Stitching. He is the first of three little cuties that are going on Christmas cards. Whether those cards get sent out this year or next is still to be decided! Now onto the subject for today: WIPs. 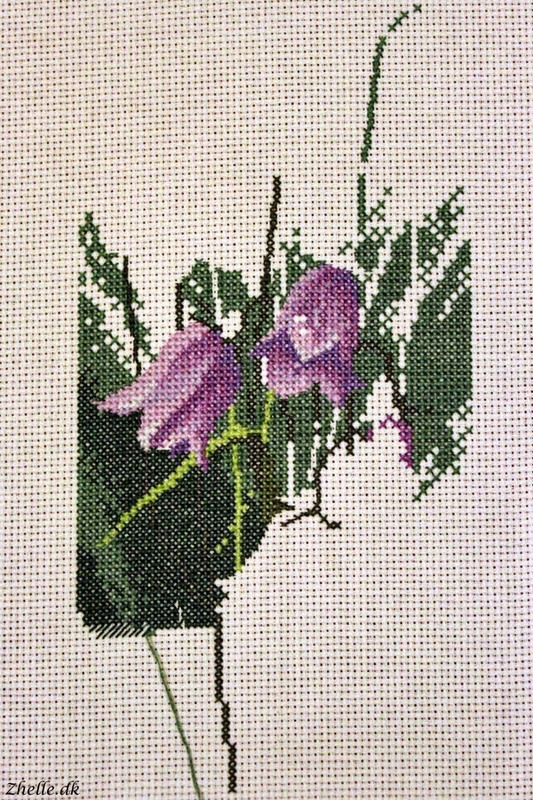 Last time I started with my cross stitch project so this time I am going to start with my crochet! This first one has been in my WIPs for about a year. I started it right after I got home from Rome last year, and I haven't really gotten that far into it. I think the main reason is that I couldn't get the pattern to make sense at the time, and it did also end up with a correction on the Simply Crochet mag website, because there was a mistake in the pattern. I recently started it again but I will be unpicking it and starting again one more time, because my gauge is completely off unfortunately. It is some gorgeous colours though! My rose bouquet is nearly finished. I sewed the roses today, so I now have 10 complete roses! (You cannot see them all in the picture because some of them are hiding, but there are 10 of them!) Now I need to sew together the pot pillow as I call it and attach roses and leaves. Then it is ready to make my hallway look pretty! 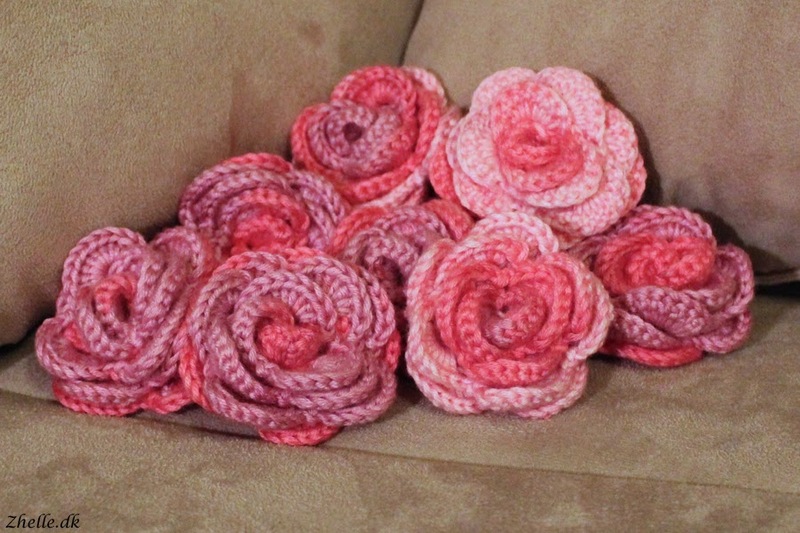 You can find the pattern at Crochet Spot if you want to make some roses on your own. My last crocheted item is another pattern from Simply Crochet. 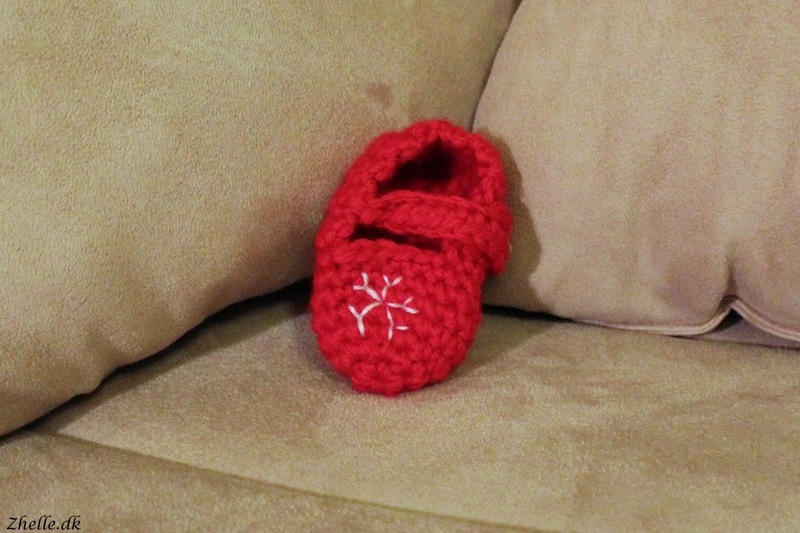 It is the first of two little booties that will serve as Christmas decorations. It is Mrs. Santa's little booties! They are hopefully going to look very adorable when they are finished. I did have some issues with the strap, and I am still not completely happy with it, but it is as it is now. 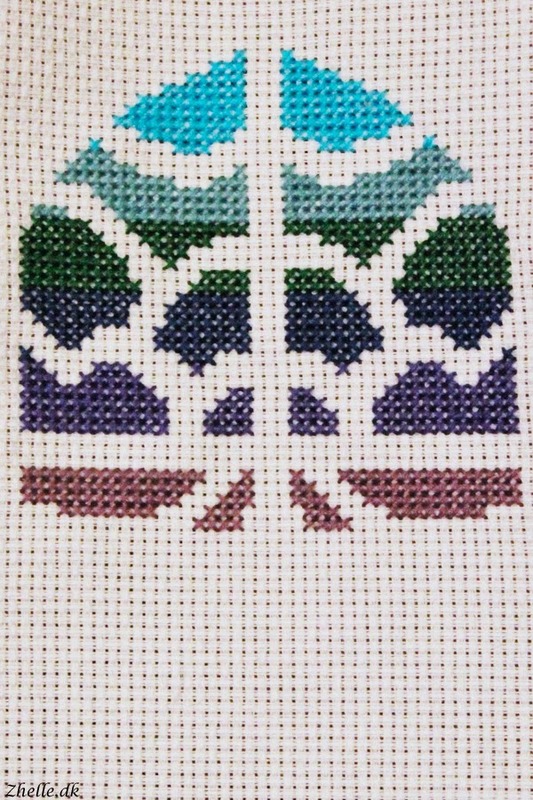 Moving on to the cross stitched items I am working on, I will start with showing you a Stained Glass Window that happens to be a design of my own making. 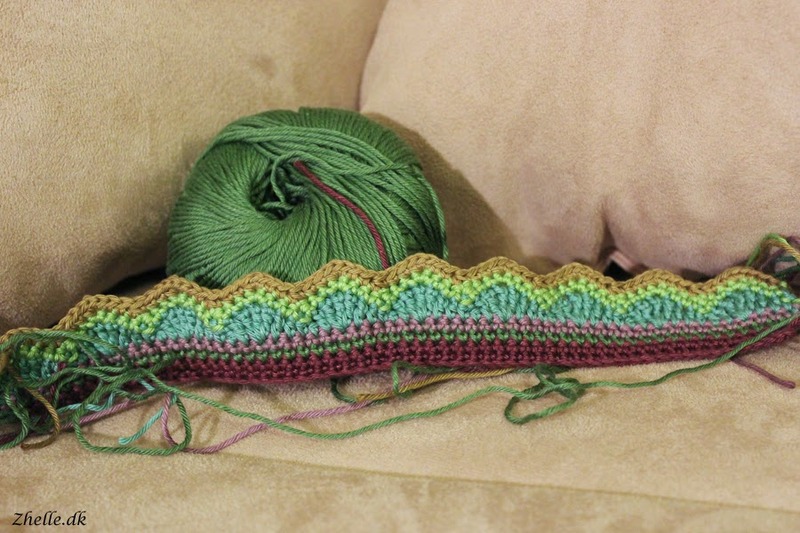 The pattern will be released in October, and I am really pleased with the way it is turning out! This is what I had to show you today, I hope you enjoyed! Have you slowly started your Christmas preparations, or is the C-word still banned for some months to come? And are you a serial WIP'er like me?